You could look at Duke landing three top Minnesota high school players in five years as more of an Apple Valley pipeline than having control over the state. But it does send a strong message when truly elite in-state prospects like Tre Jones, ones that could potentially help a program become a Final Four contender leave home – following the same path. Richard Pitino has built the Gophers into a Big Ten title contender and top-20 team. He landed three of the state’s top players in the 2018 class with Daniel Oturu, Jarvis Thomas and Gabe Kalschuer. There’s a reason fans are feeling Gophers fever excited for the upcoming season. But is it realistic to expect Pitino to beat out a Hall of Famer like Duke coach Mike Krzyzewski for recruits? I mean, Coach K just nabbed the No. 1 prospect in the world, Marvin Bagley III, on Monday night. Well, the younger Pitino will get his chance again to compete with Duke for local talent. 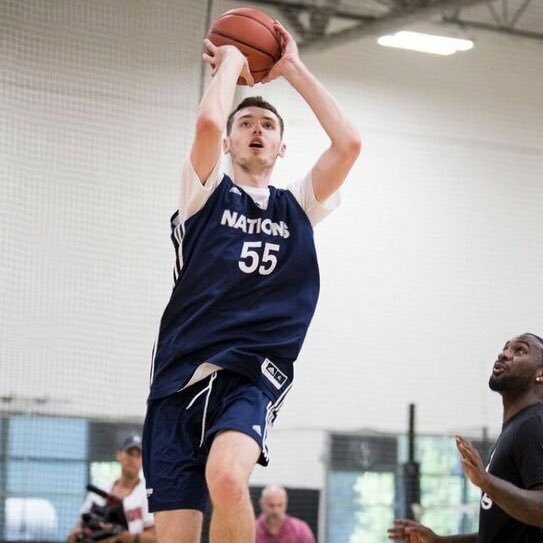 Duke offered a scholarship in July to Rochester John Marshall’s five-star 2019 forward Matthew Hurt, who is a top-10 player in his class. So for the first time ever, Krzyzewski offered a Minnesota prospect in three straight classes. And it could be four eventually with Minnehaha Academy’s 2020 stud Jalen Suggs. Tyus Jones reestablished the Duke connection with the state when he signed in 2014 and immediately won a national title as a freshman and got drafted into the NBA. Gary Trent Jr. left Apple Valley for prep school last year, but he followed ex-teammate Tyus’ route to Duke for 2017. Trent has dreams of doing what Tyus did. So does Tre who committed Sunday to Coach K for the 2018 class. The last player before Tyus to play for Duke from Minnesota was Mounds View’s Nick Horvath from 1999-2004. Kris Humphries got out of his letter of intent to become a Gopher in 2003-04. That might not happen again. But Trent and Tre made back-to-back years when the No. 1 prospect from Minnesota became a Blue Devil. So will it be three in a row with Hurt next year? He was excited about getting the Duke offer this summer. “Coach K is a great coach," he told ABc 6 News earlier this month. "It's just really a blessing for him to call me and say he offered me a scholarship. In general, it just feels good. It means they must think high of me, they love my game, they love how I play. I can do a little bit of everything." Pitino has an advantage with Hurt’s older brother, Michael, on the team. If the 6-foot-7 sophomore has a productive season and contributes to a big year for the Gophers that would definitely be a massive selling point. Hurt plans to take unofficial visits to UCLA, Louisville, Kentucky and Duke this fall. The recruiting battle with blue bloods for Minnesota’s top prospects won’t end with Hurt, either. Odds are that it could be four straight years Krzyzewski offers a Minnesotan with Suggs. Duke’s staff watched the five-star point guard this summer, as did Kansas and Arizona. But word is the biggest challenger for Suggs might be Kentucky, who even saw him play and win a gold medal for the U-16 national team in Argentina. The two best recruits to sign with Pitino at Minnesota were Amir Coffey and Isaiah Washington, both top 40 prospects in their respective classes. But Pitino’s best recruiting win was with Oturu, a 6-10 Cretin-Derham Hall senior who had an offer from Kansas last year. All Pitino can do is keep winning at a high level and raising national attention for his program to a point where the elite recruits want to play for him, regardless of where they are from. Then, he just might get one Duke wants as well. That would be something.